In Al Gore’s An Inconvenient Sequel, there’s an enjoyable episode involving Dale Ross, the mayor of Georgetown, Texas. An affable booster built like a fireplug, Ross tells Gore he’s spearheading the plan to get his town to switch to sustainable energy. His reason is that it’s cheaper, and he has a responsibility to his ratepayers. The kicker is that Ross is a conservative Republican. It’s a heartening moment at a time of horrendous political division, but it’s also central to the movie’s approach, which is to insist on facts over ideology and show why it’s a good idea to present the practical as well as the moral argument. The documentary, directed by Bonni Cohen and Jon Shenk, doesn’t have to do much to make its case. This sequel to the 2006 Academy Award–winning An Inconvenient Truth, which inserted the climate change debate into popular culture, begins with an audio montage of conservative voices decrying that film. One ridicules the claim of ocean levels rising in lower Manhattan; later, we see footage of Hurricane Sandy flooding the 9/11 memorial. That’s the canniest rhetorical flourish here—to pit the damage of national sacred ground against climate change deniers, the most powerful being Republican Senator James Inhofe from Oklahoma, whose genius refutation of radical weather disruption was to toss a snowball in the Senate chamber. In the film, we see Inhofe browbeating Gore during a 2007 Senate hearing, to the point that Senator Barbara Boxer tells him to let Gore answer the questions he’s been asked. The reason An Inconvenient Sequel succeeds is apparent in the former vice president’s patient if weary response to Inhofe: the hope that they can talk one-on-one—that perhaps then, with sufficient calm and time and irrefutable evidence, Gore can convince the senator of the perils facing the planet. And that’s the tone the movie takes. Persistence over ridicule. Understanding (or an attempt at it) over heated and partisan hectoring. 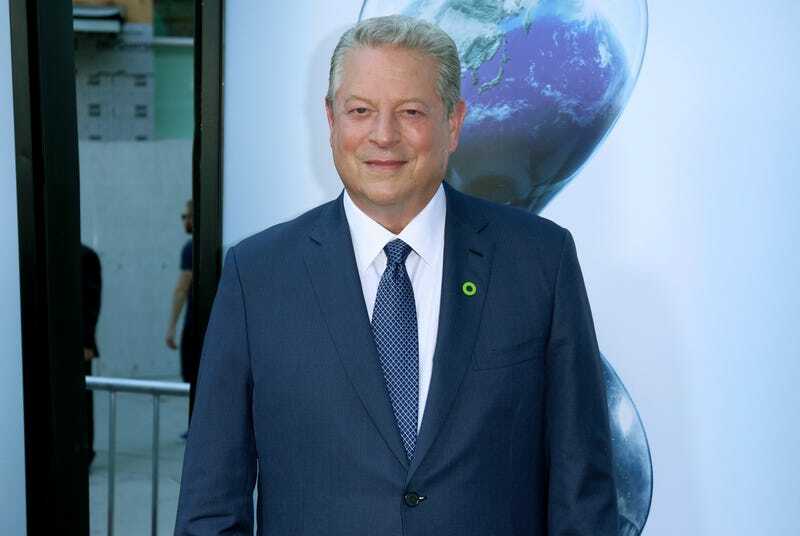 An Inconvenient Sequel is, like its predecessor, largely a slideshow presented by Gore, who remains a warm and likable presence. His onstage points are illustrated by footage of his travels to melting ice caps; to India, where he tries to discourage the building of coal-burning facilities; and to the Paris talks, where he helps broker a deal to give India the credit and decent interest rates that will allow it to invest in sustainable energy. A good portion of the film is devoted to the drama leading up to the 2015 Paris climate accord. Since President Donald Trump withdrew the U.S. from that agreement on June 1, the end finds Gore reassuring supporters that, despite the inevitable setbacks that will result from Trump’s decision, the fight will go on. The movie is a piece of advocacy, and it succeeds at that: The conclusive science presented is powerful evidence that there is only one side to this story. The filmmakers and Gore clearly want to re-energize climate change crusaders and persuade those on the fence to jump to their side. But will An Inconvenient Sequel influence staunch deniers? Will they even see it? Given the current rigid partisanship in this country, that’s probably unlikely. And yet, there are worse ways to spend your time this summer than to slip into an air-conditioned theater to watch this film. After all, it’s hot outside. This story was originally published by Newsweek and is reproduced here as part of Climate Desk. Project Earth currently has a partnership with Participant Media, creators of an Inconvenient Sequel.